Hanes Sport;: Comfortable Performance Gear Performance. Style. Comfort. 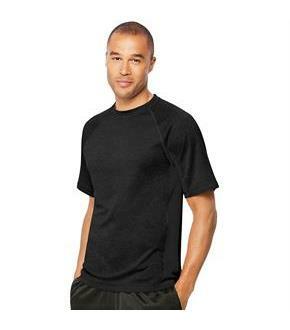 Hanes Sport; apparel builds on our comfort heritage with innovative technologies to give you the looks that fit your life, your sport, and your style.Lightweight training tee gives you the competitive edge with superior performance features. X-Temp; technology is designed to adapt to your body temperature and activity to keep you cool and dry for all day comfort. Dries fast for maximum comfort.Wicks away sweat to keep you cooler. 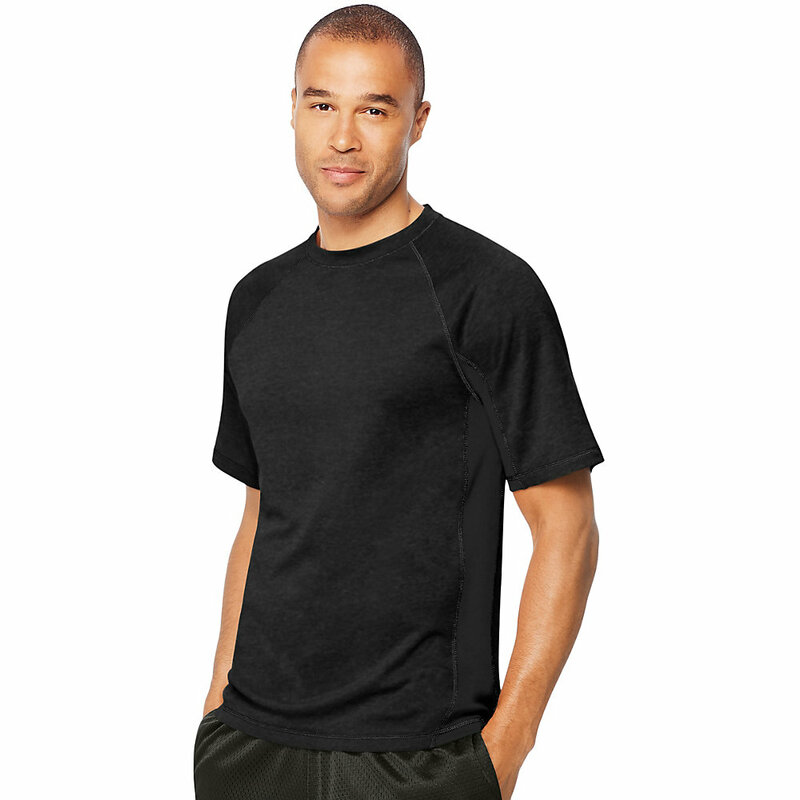 Flatlock seams help reduce chafing.Mesh inserts in high heat zones allow for sweat evaporation and cool air circulation.Raglan style tee available in colorblock and solid colors.